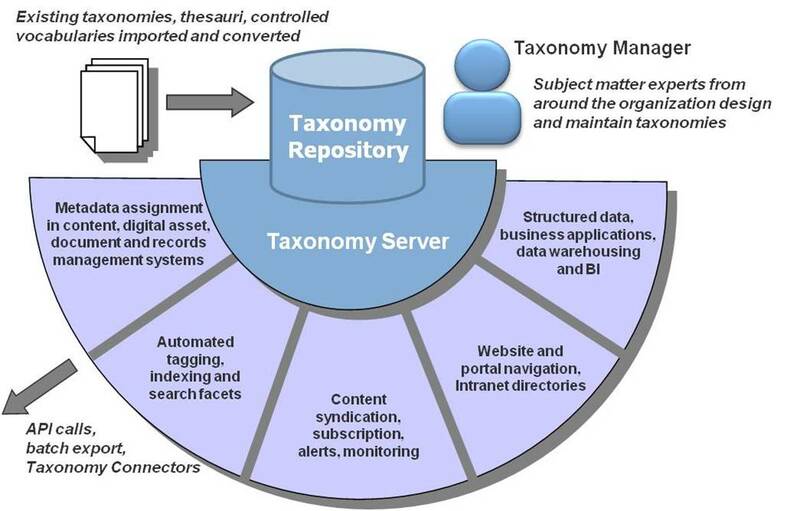 Wordmap Taxonomy Management System ("Wordmap") is used by information professionals to develop the category and term sets that bring consistency, precision and control to enterprise information management. Wordmap's broad feature set gives editors much greater control and productivity than they would enjoy in other applications. Yet Wordmap is outstandingly easy to set up and use. The data and functions of Wordmap are available via imported and exported XML, a documented Java API and taxonomy connectors. Wordmap can thus provide enterprise-class integration capabilities. Learn more about Wordmap Search Integration Framework .